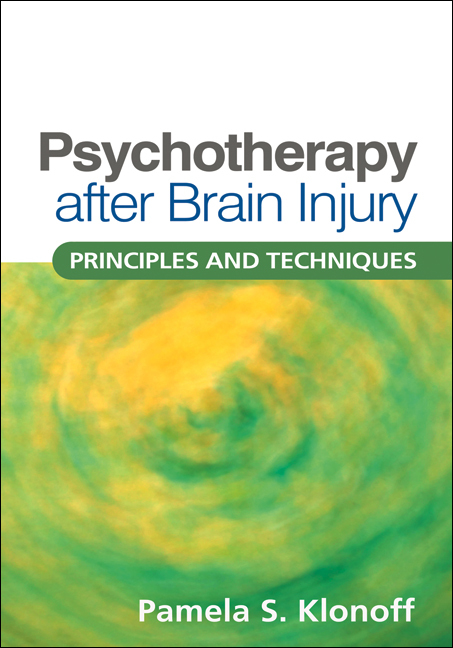 This book presents hands-on tools for addressing the multiple ways that brain injury can affect psychological functioning and well-being. The author is a leader in the field who translates her extensive clinical experience into clear-cut yet flexible guidelines that therapists can adapt for different challenges and settings. With a focus on facilitating awareness, coping, competence, adjustment, and community reintegration, the book features helpful case examples and reproducible handouts and forms. It shows how to weave together individual psychotherapy, cognitive retraining, group and family work, psychoeducation, and life skills training, and how to build and maintain a collaborative therapeutic relationship.